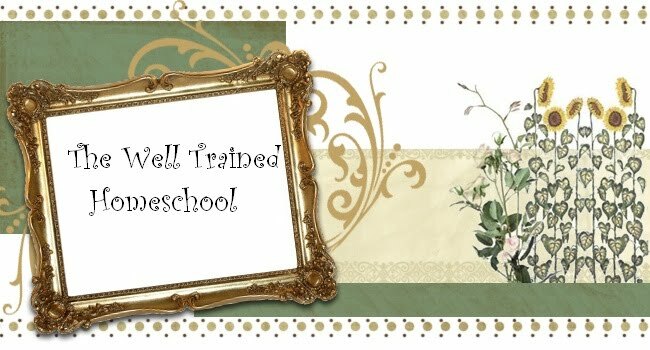 Well Trained Homeschool: Think About it Thursday: Screen Free Week! So this week we have been participating in screen week with our local homeschool support group. It basically having your children not watch TV for a week. Now we didn't watch much TV anyway but its been a good experience so far turning off the tube. During an average week my children would get an hour of TV during the weekdays and on the weekend they could get up to 2hrs on Saturday and Sunday. So compared to our nations average of children watching 4+ hours a day I say we were doing pretty darn good. But you know just 4 days into our screen free week I can see we could have been doing better. In that hour I was letting my children have it was usually while I was trying to fix dinner. So now instead this week the children and I have been more creative with that time. I have invited my kids into the kitchen more and they have come up with some things to do themselves. Here are some pics I took of this weeks Screen Free Week. Reading in front of turned off TV! I totally agree with you Umm Umamah. When I was little my brother and I had a broken telephone that we used to play school, office, and store with. We would be busy for hours in our own imaginations. 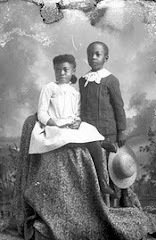 I noticed you as a new follower to my blog Crafty Homeschool, Welcome. 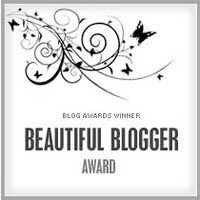 I have really enjoyed looking through your blog, adding a vote to your Circle of Moms top 25, and a new follower. It's so funny you would post about TV because in my house TV is refereed to as "brain rotting garbage". 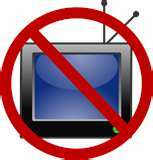 I really like the week free of TV (actually I would love to just get rid of it), I'm not sure my kids or hubby would like it. I just did some research and found out that the average TV time for kids is about 28 hr/wk. My jaw hit the floor, my kids get 1 hr each day (TV, computer, and game systems are all in that hr), and I thought that was too much. Thanks for the vote Len. Its amazing how much screen time the average child is getting per day in this nation. We really need to unplug. I think the TV time is directly related to the obesity crisis. When I was coming up we always had a chubby kid or two but even that child was very active outdoors. We craved the outdoors when I was little and TV was reserved for Saturday mornings. Which straight after it was over with which was usually noon we wanted outside again. Its amazing how within a generation we made such a drastic shift. I think this is one area we could use a little work on at times. When it's nice outside we seem to do better, but when it's raining it makes things harder. ~A lovely blog you have. That's wonderful! People can really accomplish a lot more in their lives when they watch less TV. We helped my Father run his cattle ranch in the mountains of Arizona for 1 year. There was no TV reception. It brought the family much closer, and the girl's behavior was surprisingly better. Although, TV can be used for educational purposes as well. I was homeschooled, and I recall not watching much TV either. Unless my mom had some DVD or video she wanted me to watch that related to my school work, I probably watched only about an hour of TV on school days. Then we got to the point where we had so many TV shows and movies on DVD, that we pretty much watched only one channel (the Weather Channel). So we decided that if we were going to pay about $100 dollars a month for cabel and watch only one channel, we just may as well not have it at all, so we got rid of our cabel and have absolutely no channels on our TV, except for the video channel.